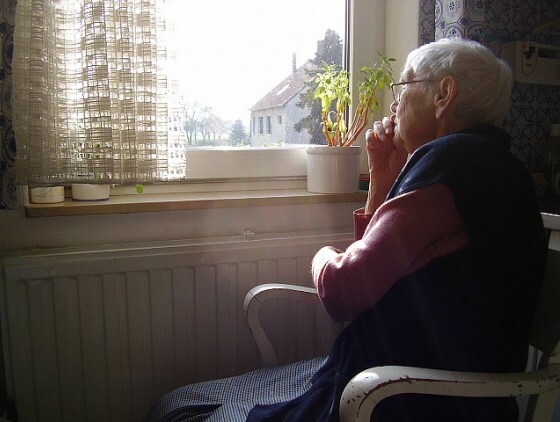 The age group most affected by the phenomena of loneliness is undoubtedly the elderly. They sometimes live alone or suffer from a lack of meaningful relationships. Many seniors are also put into the care of assisted living facilities, nursing and group homes, etc which can be a very stressful and debilitating experience. Listen and observe: "We often don't listen enough to the people we love," laments Tina Tessina, Ph.D., psychotherapist and author of "The Ten Smartest Decisions a Woman Can Make After Forty." According to Tessina, "saying ‘tell me more' is a gift you can give from your heart." Encouraging a senior to express themselves can help you discover what interests and passions lay dormant, just waiting to be rekindled in your loved one. "You've got to really dig deep and find out what their interests were before and get them to try and awaken those forgotten activities," Smith says. Develop a strategy to defeat seclusion: Once you know what your loved one loves to do, you can use this information to develop a personalized loneliness eradication plan for them. Smith cites several simple examples from her own experiences as a caregiver: While caring for an elderly couple who refused to leave their house, Smith found out that they loved to cook and garden. So, she asked what the couple's favorite meals were, cooked them and invited a few people they trusted over to the house for a dinner party. Also, because neither spouse could go outside to garden, Smith brought the flora inside and helped them rediscover the extensive collection of gardening manuals that they had forgotten about. While caring for an angry 91-year-old man who was reluctant to communicate, Smith discovered that he had a passion for singing and photography. Walking down the hall with him one day, she began to belt out a few bars of "Let Me Call You Sweetheart." The man responded by singing right along with her and grudgingly admitting, "You're OK." Today, he sings for the community and is part of a club of retired photographers that Smith helped him contact. Let them teach you: Smith encourages caregivers to connect with their loved ones by allowing them to pass a portion of their vast store of hard-earned knowledge on to you. "I learn something new every day because I am being taught by the best," she says. The key is to let the senior's passions guide the lesson plan. For example, if you're caring for your mother who loves to embroider, ask her to teach you how to do it. This not only has the potential to be a great bonding experience, it also can help add a bit of balance to the child-parent dynamic that may have been upended when you started caring for her. Bridge the generation gap: According to Smith, caregivers can play a vital role in fostering a relationship between a senior and their youngest relatives. Too often, she says that grandkids see their grandparents as either crazy or boring, when they should be viewing their elders as sources of wisdom. Try to come up with ways to help the oldest and the youngest generations of your family to spend time together. "That's an absence in so many elderly homes. They need to share stories. There's a wealth of knowledge that can be passed on to the younger generation," Smith says. Karasu also points out that seniors have the potential to contribute a lot to their families—if they are allowed to remain engaged. He says this is doubly important in light of the fact that research has shown that an unengaged elderly adult will experience cognitive decline at a much faster rate than a senior who is mentally stimulated by interactions with other people. It's the thought that counts: Another piece of advice from the pros: urge other family members to reach out to an elderly loved one. It doesn't have to be a grand, time-consuming gesture. Something as simple as sending a card, dropping off a little present of their favorite food, or calling for 30 minutes a couple of times a week can go a long way to making a senior feel loved and connected to the rest of the family.